Great business opportunity for owner user or investor! Easy access and visibility from highway. 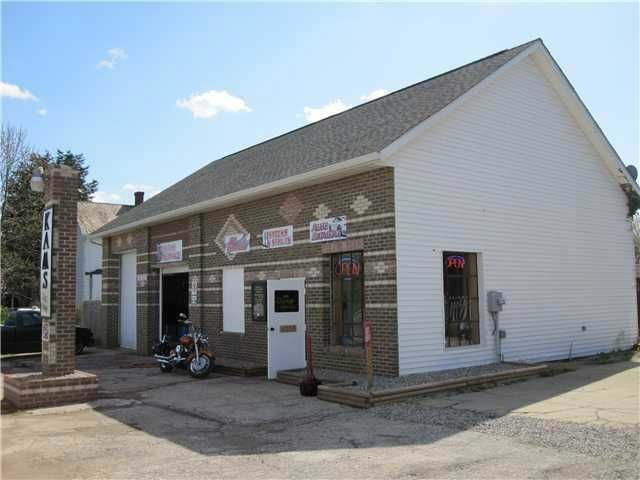 1,872 sq ft commercial building with office and 2 drive-in bays. 1,575 sq ft 4 bedroom, 1 bath brick home built in 1829. 2 mobile homes, 4 sheds all on 1.48 acres. Multi Parcel.